About Mary Quant, Free your thoughts; don't be confined by convention. In the 1950s, fashion designer Mary Quant conquered the globe with the launch of the miniskirt, which would have been unthinkable before that time. Her original ideas and boundless curiosity had a big influence on the role of women in contemporary society. with unrestricted combinations to enhance female beauty. The aim? To allow women to express their true selves and enjoy life. Be free, be yourself! This spirit is part of Mary Quant, and it will never change. 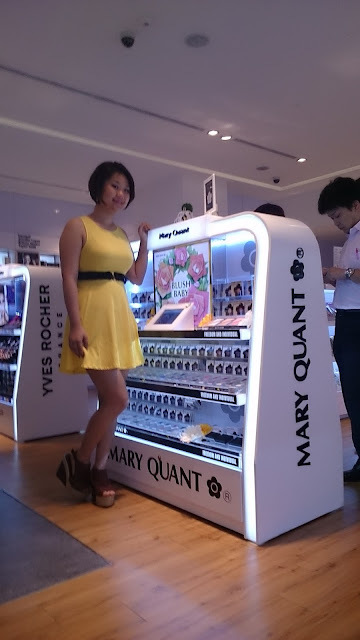 at the same time we got to know that Mary Quant is launched exclusively in Muse by Watson , Sunway Pyramid. Thanks Don inviting to this workshop and understand more on Mary Quant Cosmetic In Town. Mary Quant brings in quite a numbers of interesting products like their colourful mascara called ACTION LASHINGS, they are in 7 colors, shape of the mascara is different from other, MQ's original two-sided Coil and Chip Brush, which features short raised bristles on one side. 01 EBONY BLACK , 02 BARBWIRE GREY, 03 IVY GREEN , 04 LAUREL GREEN , 05 BRIGHTON BLUE , 06 BOHEMIAN PURPLE , 07 LAC ROSE. My favorite would be the 05 BRIGHTON BLUE, seem like the electric blue to me! another products is the OUT LINE colour pencil, it is a double usage as lip and eye liner. you can have a Mary Quant CHERRY RED & FRESH WINE color as your eyeliner. 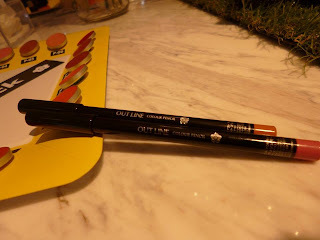 I found out the OUT LINE colour pencil is very long lasting&pigmented to line the lipcolor before the lipstick/lipgloss. Next we go to Lip make up,Mary Quant got Lipstick & Lipgloss in the range! Spot the Different, both also using the same lipstick color. Mary Quant Malaysia Brings in 56 Colors of Eye Shadow. in creamy & powder texture too! 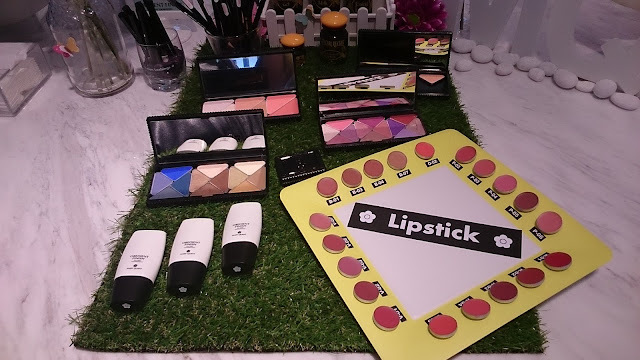 You are free to customized your palette with favourite blushers, eyeshadow & face highlighter. This is Ms. Nobuko Takaki's customized palette , her palette consist of very earthy/natural shade of eyeshadow, blusher & face highlighter. compact yet elegant in Black Daisy case. There is a Make Up Demo during the Workshop! Mary Quant Make up Base got 2 different type, Oil Zap & Moisture Zap. 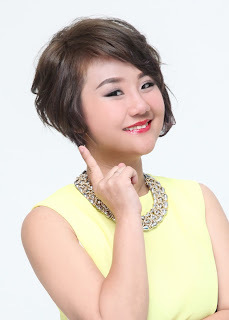 You can see she using red eyeliner & mascara on model's eye, look so different. wow that before and after really got a lot difference!